After some indie releases, the band from Hawthorne, California (home also to pop icons Emitt Rhodes and Brian Wilson) released a promising sophomore LP, 1987’s Neurotica, on the ill-fated Big Time label. 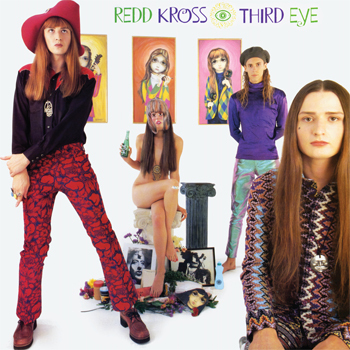 But in the wake of the relative success of other tuneful alt-rock acts (Jellyfish, World Party and Michael Penn, to name but three), Redd Kross was signed to a major label, Atlantic. Third Eye was the band’s major label debut, and – as it turned out – effectively its major label swan song. The album – which has worn quite well musically over the ensuing nearly three decades – has been newly reissued on green vinyl; the reissue is quite welcome, as original vinyl pressings from ’90 are scarce and extremely pricey.